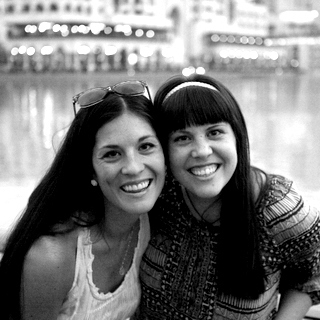 Like I said, once-upon-a-before-having-kids-time, I was a classroom teacher (and loved it). 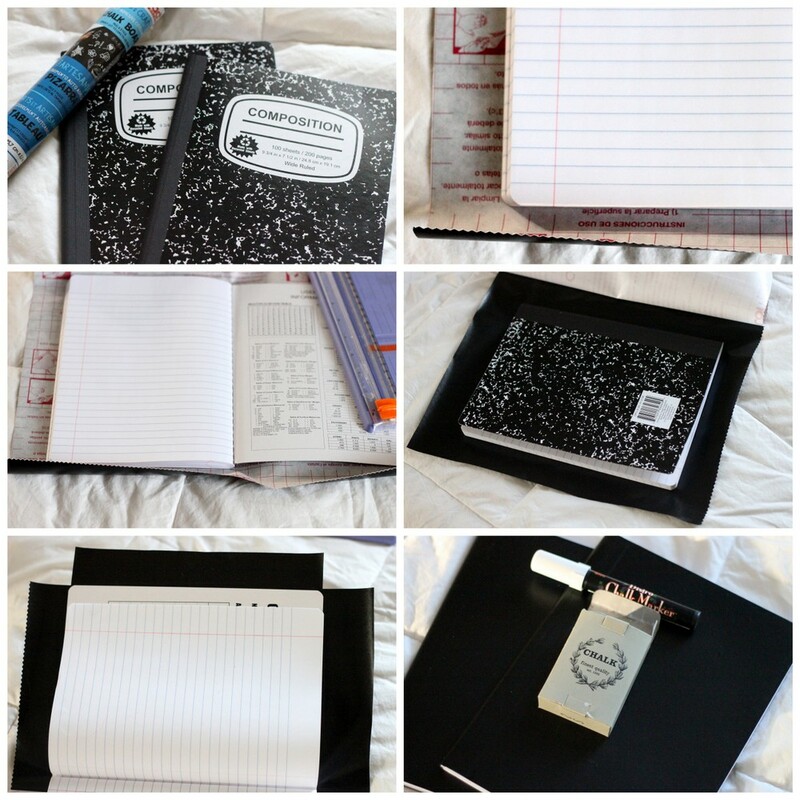 Now, as an at-home mama, I am finding all of these fabulous uses for the knowledge I acquired during my teaching days. Monitoring my preschooler’s progress as he learns to read and write? Noted. Spending hours (and hours and hours) of time reading to the Smooches just like I suggested to the parents of my students? Done. Filling our house with a ridiculous number of children’s books? Absolutely. 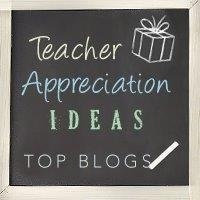 And turns out, come teacher appreciation season, I have tons of ideas (and lots of opinions) about the best ways to show teachers how much you appreciate them. I tend towards practical gifts (think Starbucks gift cards) and also love any chance to express heartfelt, personal thanks. I especially love pairing the two of those. 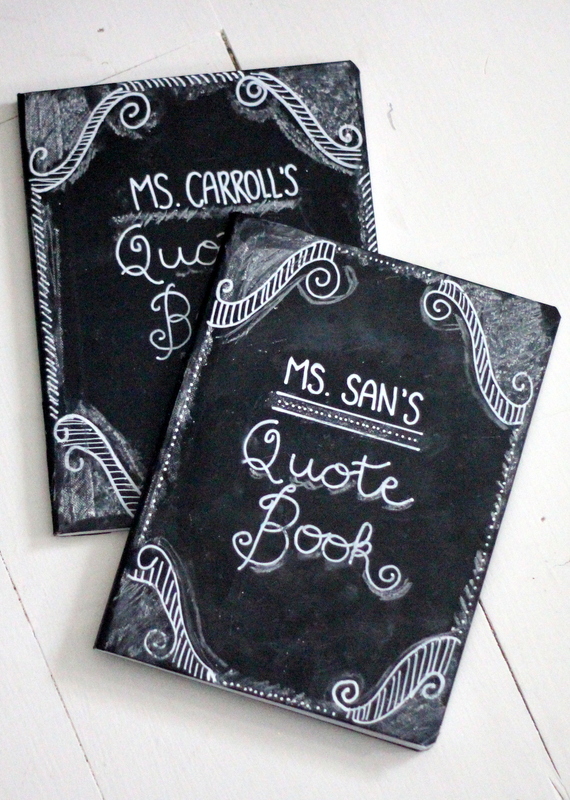 For my son, Burke’s, preschool teachers, we decided to make chalkboard covered journals. 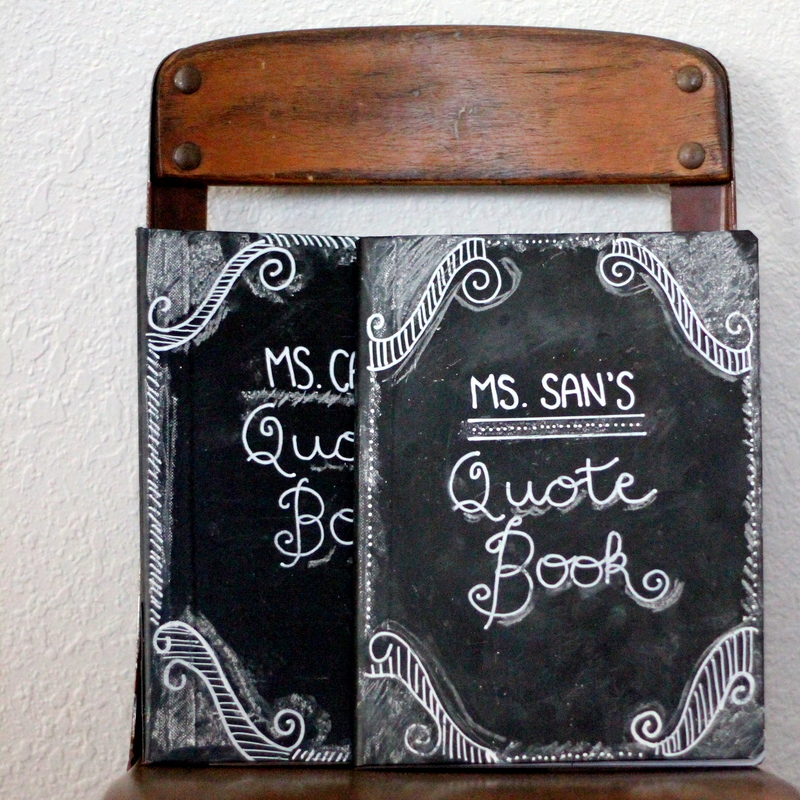 We turned ours into Quote Books where they can store their stories and quotes and laughable moments and paired with Starbucks gift cards for an early morning caffeine fix, but I think they’d be great just with a blank chalkboard cover as well. Thanks for having us Cindy! 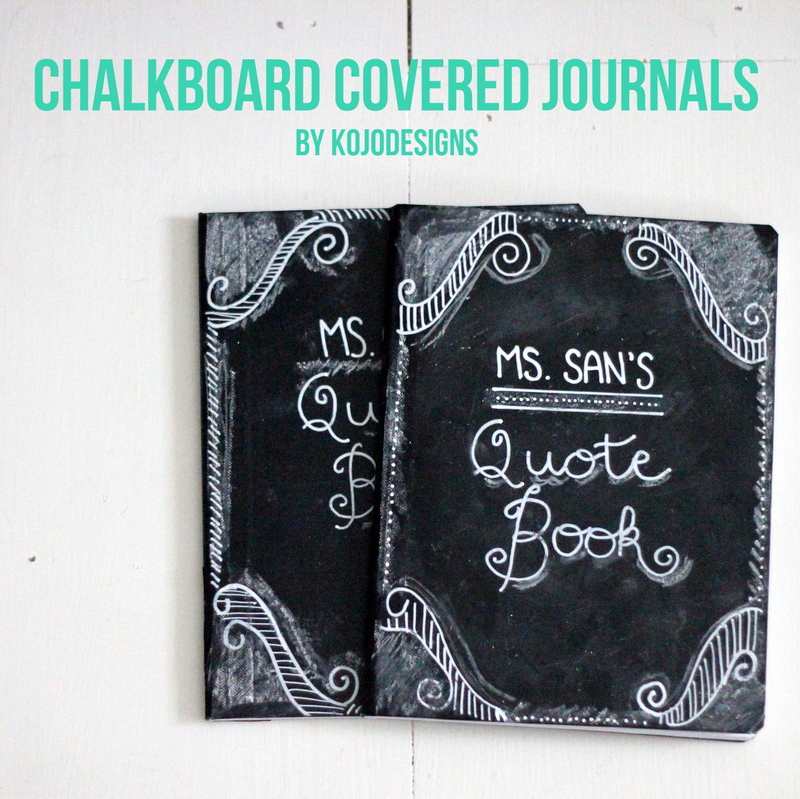 Skip to My Lou friends, stop by kojodesigns and Shiny Happy Sprinkles anytime! 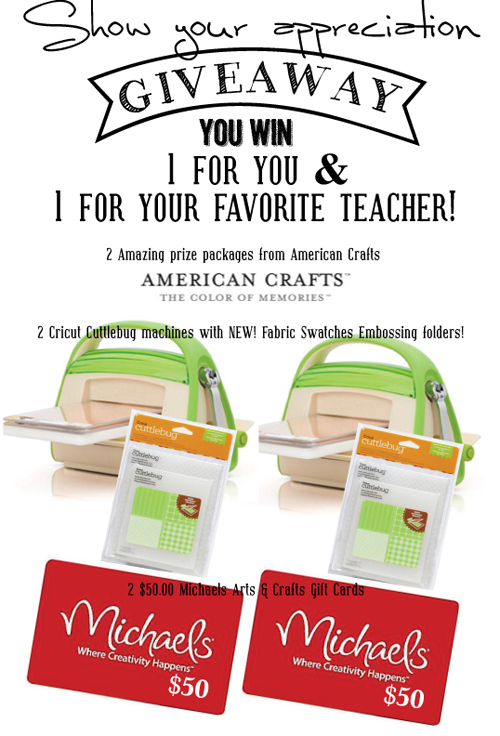 Stop by Kojo Designs for more crafty inspiration and to enter the Show your Appreciation giveaway today (you get a new entry each time your visit our guest blogger)! We are giving away hundreds of dollars worth of fun goodies! You won’t want to miss this! Hi, always looking for new craft/gift ideas, just found this one! 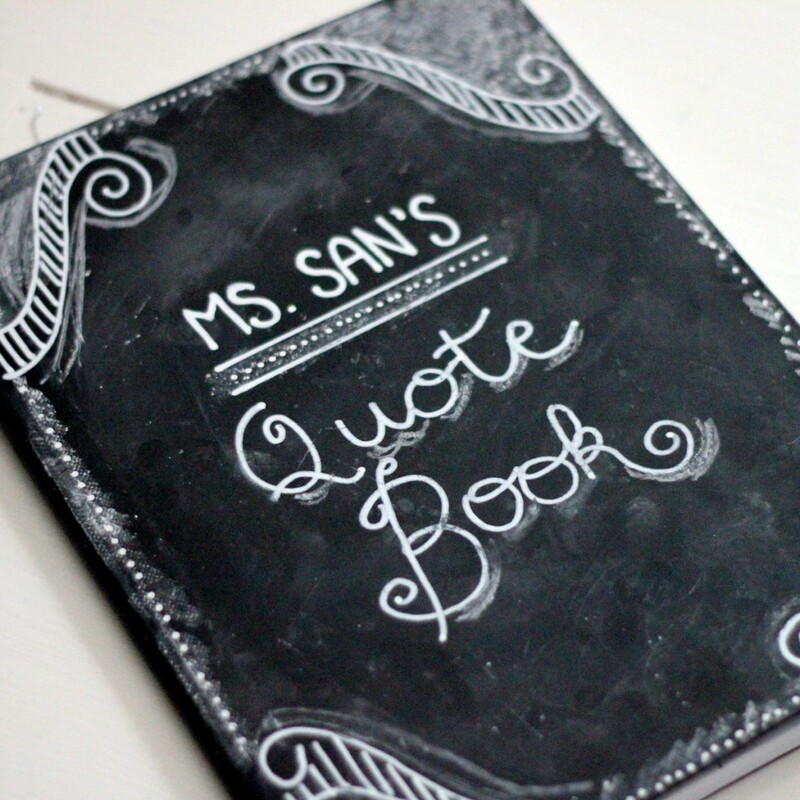 I have the chalk contact paper, just never thought of applying it to a book. Two of my favorite things! Thanks, this is a great idea! Achieve a chalkboard effect! I'm so excited to make this project!!! !